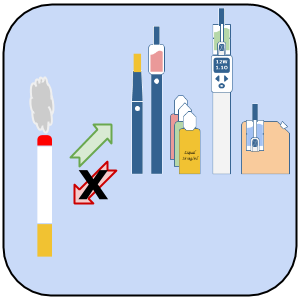 A hypothesis why ecigs can be permanently successful with smoking cessation, where all other methods usually fail eventually. Let’s face it: Ingesting small amounts of nicotine is rather similar to caffeine. Stimulating and relaxing. As a smoker (or vaper) you also want the peaks. Not just a constant level. So, patches aren’t a full substitute because the deliver they nictine too constantly. Gum, inhalers, etc. are severely lacking in taste. They taste even worse than smoking. No rivals for pleasure here either. Any way you quit smoking, the memory of the guilty pleasure associated with smoking stays. No matter how deeply you bury it in your subconscious, it’s bound to pop up again with a longing. A longing that might lead to a relapse. Enter vaping: This consumer product has the capabiity to replace the pleasures of smoking with more pleasure. The major provider of stimulation and relaxation—nicotine—is delivered similarily, albeit a little slower. The peaks are less pronounced. Here it’s lacking a bit. There are other psychoactive substances in the smoke (like MAOI) that interact with nicotine. Missing, too. But the feeling of the inhaled vapor is sufficiently similar to smoke and the exhaled vapor is the used visual confirmation. At this point ecigs are better than NRTs as a substitute but still not more pleasurable than smoking. This is where the flavors come in. The wide variety of flavors allows vapers to pick those that are especially pleasant for the individual tastes. Even the journey testing them can be a diverting pleasure in itself. With the right flavors vaping can provide vastly more combined pleasure than smoking. And this superior sensation replaces the memory of smoking. For the experienced vaper there are many ways to fine tune the individual pleasure. Most will try different atomizer types. The same liquids taste and feel different depending on the atomizer design. Select the right batteries. Individual preferences like size, capacity, amount of control, peak power. Some find a cost saving hobby with rebuildable atomizers. Experimenting with coil/wick setups. Some like to mix their own liquids. Questing for the best mix of bases and flavors. So, when a successful vaper should decide to go for total cessation, he might also have a recurring longing. But this longing wouldn’t be for smoking. It would be for the greater pleasure:Vaping! And this is exactly what the ANTZ hate about it. Pleasure? eeeewwwwwww. And what type of ecig do you use? Since You’ve had a good experiece with it, I’m quite interested in where you bought it. Do you notice any varying quality in liquids and/or cartridges? Thanks in advance! I started with eGo-T ecigs. I then replaced the atomizers with DCT, Vivi Nova, and Protank. Now I’m using primarily rebuildable atomizers and regulated mods. I bought them at a local store and mostly via the internet. The names of the shops are not important here. 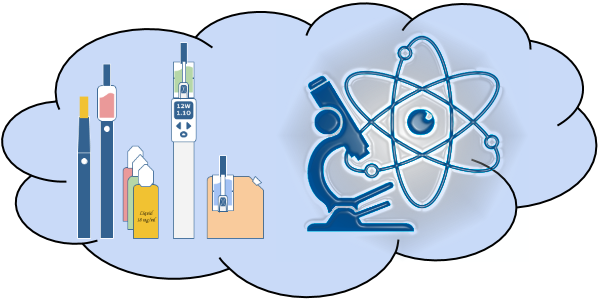 Visit ecig forums to find reports about reliability and quality delivered by specific shops and brands. Usually no problem with the quality of liquids. I increasingly mix them myself. Cartridge systems are too limited and thus pretty useless for me. And no, I won’t promote any businesses or specific products. Neither for free samples, nor for money. After trying cold turkey, gum, and patches, I’d never been successful in quitting cigarettes. I even tried the cig-alike kind a few years ago but it wasn’t satisfying at all. Almost 4 weeks ago, I bought an ego type variable voltage battery and an clearomizer, with some fantastic ejuice and I haven’t looked back. It was definitely for those reasons you mentioned that I took to it. I had plenty of cigs made and tons of tobacco and tubes to make more (I was making my own smokes to save money), I ended up giving all the tobacco stuff away on the second day. Now when I think about it, I couldn’t imagine going back to cigs, they just taste like burning! Norbert, believe me. The “peak theory” was invented in order to “explain” “good” and “bad” nicotine at a time when NRT products entered the market. Modern dignostics proved the theory wrong. Any consumer of nicotine self-titrates nicotine to her/his individual pleasure level. A level, right, not a peak. There is no good and bad nicotine, there is only one nicotine, a beneficial chemical like caffeine and with similar positive effects. How long does it take to get nicotine out of your system? This is the simple reason why caping works, fun. From the first time I had an ineffective but fun cigalike to building coils giggling on forums making my own juice and attending vape meets its fun. A lot more fun than smoking.